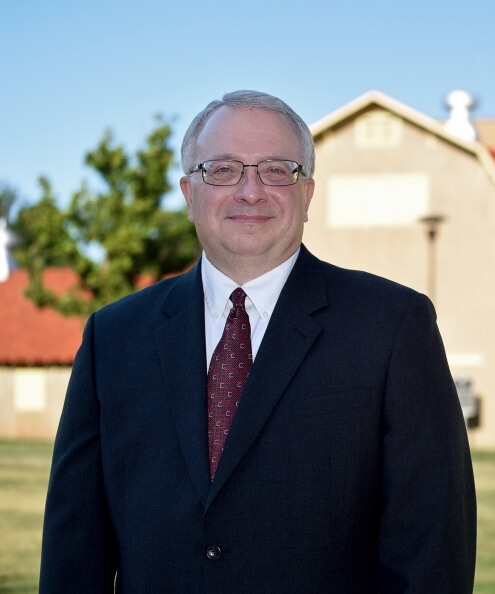 Doerfert returned to the Department of Agricultural Education and Communications at TTU in 2002 as associate professor, and, in 2009, he became professor and associate chair of agricultural communications. He had been an assistant professor at TTU during 1989-90 before pursuing other agricultural career opportunities. At TTU, Doerfert is a member of the Teaching Academy. He received the President’s Excellence in Teaching award as well as honors for distinguished teaching and advising. He received service and outreach awards from the TTU College of Agricultural Sciences and Natural Resources. Doerfert is an active professor in the TTU Department of Agricultural Education and Communication teaching courses and advising students majoring in agricultural communications at the graduate level. His graduate-level courses include Knowledge Management in Agricultural Sciences, Risk and Crisis Communications in Agriculture and Natural Resources and Methods of Technological Change. His research program effectively weaves together two knowledge bases: (a) decision-making including the variables that influence the use of information to solve problems and make decisions including changes in behavior and (b) science communication including the complexities of sharing and receiving agriculture between industry stakeholders and the public. Born and raised on a dairy farm in southeast Wisconsin, Doerfert began his career as a high school agriculture instructor at New Holstein, Wis. He has been the state supervisor of agriculture and state FFA advisors in Wisconsin. From 1993-1995, he was at Iowa State University as assistant professor in agricultural education and studies and professor in charge of the agriculture distance education efforts. His other agriculture work include team leader (1998-2002) in the education division at the National FFA Organization. In this position, he led a staff of 25 professionals focused on conferences, leadership programs, American degrees and proficiencies, scholarships, career development events and the national FFA convention. In addition, he served as publisher of the FFA New Horizons magazine and as staff contact for the national FFA officer selection process. Prior to his promotion to team leader, Doerfert was a development officer from 1996-1998 with the National FFA Foundation. Doerfert holds a Bachelor of Science degree in agricultural education from the University of Wisconsin-River Falls and a Master of Science and doctorate from The Ohio State University. Doerfert, his wife, Jill, and son, Michael, live in Wolfforth, Texas.